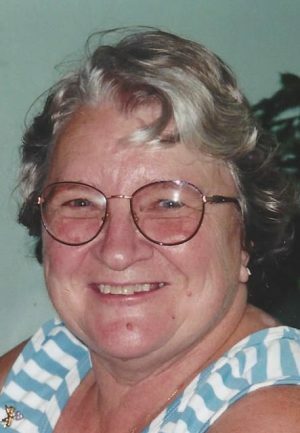 HANNIBAL, NY – Emma J. Martin, 80, of Fulton, passed away Tuesday February 28, 2017, at St. Luke’s Health Services. She was born in Baldwinsville and retired from Oswego Hospital as a home health aid. Emma was a member of the Fulton and Oswego senior citizen clubs and had also served as secretary of the Granby Senior Citizens Club. She was predeceased by her husband, Ralph Martin; sister, Fern Anthony; brother, James Brown; and step-daughter, Molly Martin. Emma will be greatly missed by her daughter, Melissa (Chris) Dennison; sons, Timothy (Shelly) Potts, Donald (Mary) Potts, Michael (Robin) Potts and Steven (Tonya) Potts; one step-son, Matthew Martin; nine grandchildren; two step-grandchildren; and several great-grandchildren. A spring graveside service will be held at Springbrook Cemetery, Sterling. Emma’s family would like to thank the staff for the loving care that was shown Emma during her time at St. Luke’s.